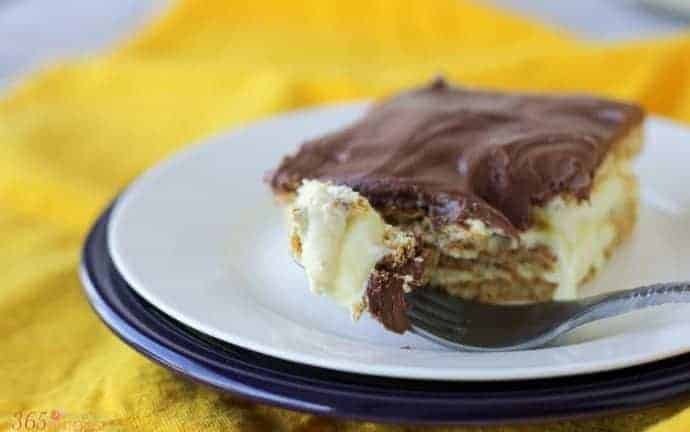 This S’mores Eclair Cake is my “go-to” dessert. 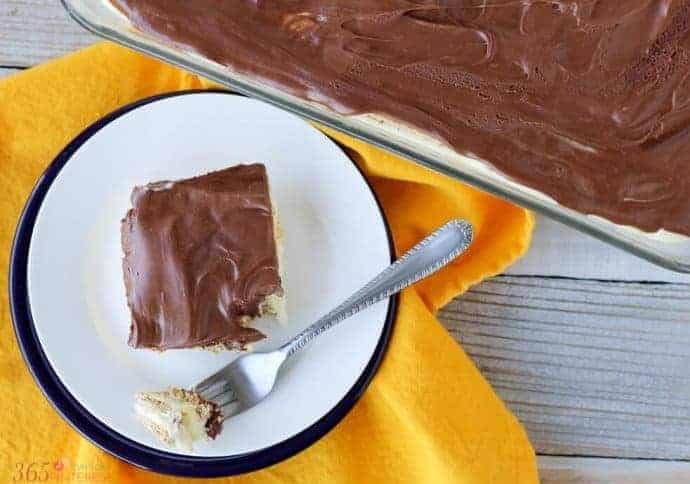 Eclair Cake isn’t technically a cake, since it’s a no bake dessert, but it tastes just like an eclair or a Boston cream doughnut. SOOOOO GOOD! Hello again, Princess Pinky readers! 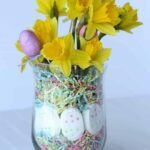 It’s Nicole from Simple and Seasonal, back with another YUMMY recipe for you! 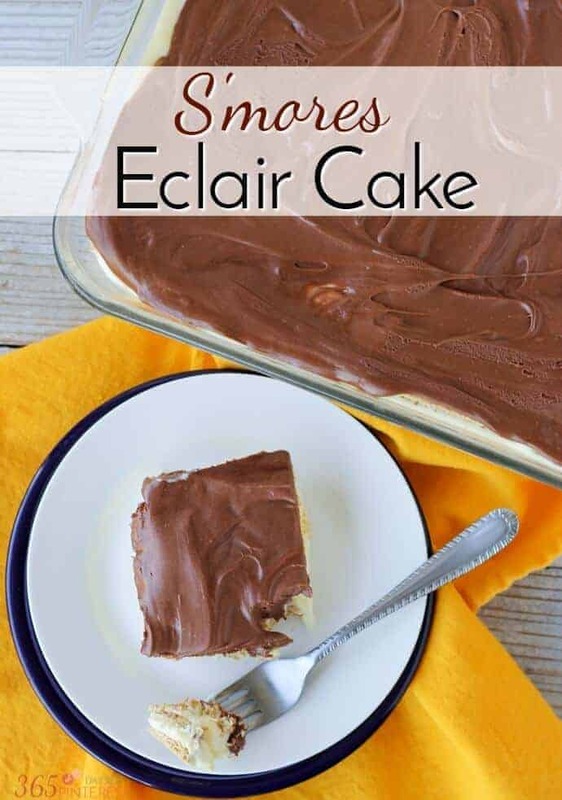 Technically, Eclair Cake isn’t a cake, since it’s a no bake dessert, but it tastes just like an eclair or a Boston cream doughnut. It’s what is called an icebox cake, because after you make it, you let it sit in the fridge all night. In a large bowl, mix the pudding mix and milk until smooth, but not set. Add the marshmallow creme and whisk together until smooth. Pour half of the pudding mixture over the layer of graham crackers and spread evenly. Top with another layer of graham crackers and then add the rest of the pudding mixture. 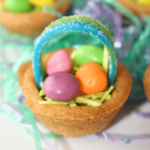 After removing the foil cover from the frosting, heat it in the microwave for 30 seconds to get it soft and easy to pour. Stir smooth and then pour evenly over the top layer of cream. Place in the refrigerator overnight to soften. Cut into squares and serve with milk- it's rich! 🙂 Keep refrigerated. Optional: add mini marshmallows to the top and toast with a kitchen torch if you have one! If you’ve followed me for any length of time, you probably already know that I have a love affair with all things s’mores. 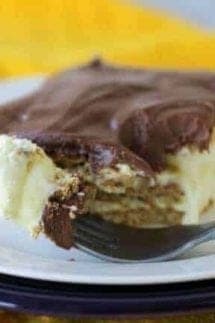 If you like this S’mores Eclair Cake, check out these other awesome s’mores recipes from Simple and Seasonal! I used to make this when I had teen boys eating their way thru my house! One of my son’s friends LOVED this and called it PIE. His mom and dad were in the process of divorcing, and I think PIE and my non-stressful house helped. I even bribed him once …I told him if he got on base at a baseball game, I would make him pie. He did…and I did too! Lovely memory! I love chocolate, its flavor is awesome, thanks for sharing the recipe of this cake. I will try to make it.